NASCAR Productions’ three control rooms feature are specifically configured to handle IP-based At Home remote productions. NASCAR Productions, based in Charlotte NC, prides itself on maintaining one of the most technically advanced content creation organizations in the country. It’s responsible for providing content, graphics and other show elements to broadcasters (mainly Fox and NBC), as well as NASCAR’s digital and social platforms and other shoulder programming on the broadcast networks. And that’s in addition to a wide range of international broadcasters that it supports. The in-house production team, which handles all field and studio production, content editing, sound design and delivery, needs to be as fast as the cars they cover, so NASCAR’s home base— located inside the NASCAR Plaza building in downtown Charlotte—features three main production studios (named “Studio 3,” “Studio 43” and the "News Center Studio") and three control rooms, filled with the latest HD (720p) production equipment from companies like Calrec Audio, EVS, Grass Valley, Nexsan, Promise Technology, Quantum, Sony, Telestream and others. NBC Sports, one of NASCAR’s primary broadcast partners along with Fox, has moved its entire NASCAR television programming activities from its headquarters in Stamford, Conn., to Charlotte. The show’s control room and all the production execution will still come from Connecticut, but the talent now has one central location to reside at. NBCSN had been broadcasting from both Charlotte and Stamford. This ability to perform remote broadcast operations (they call it “At Home Production”) has been a hallmark of NASCAR’s Productions for several years. In fact, NASCAR Productions, which will produce 30 events in 2019 using this remotely controlled operations model, has been awarded a Technology & Engineering Emmy Award for its on-going work to develop and fine-tune At Home projects. That award will be presented to NASCAR Productions at the 2019 NAB Show on April 7th. One of the EVS Replay stations at NASCAR Productions, which allows operators to access any audio or video clip on the facility’s private 16 PB storage area network. Click to enlarge. In February 2018, PSSI Global Services, which will share the same Technical Emmy Award, supplied its transmission capabilities to NASCAR Productions to successfully conduct one of the largest at-home productions—the IMSA Rolex 24 endurance race at Daytona International Speedway in Daytona, Florida. The transmission from the event back to NASCAR’s headquarters in Charlotte included 28 video paths and 75 channels of audio delivered synchronously for 32 consecutive hours. PSSI Global Services provided two transponders on a single satellite, accessed with one antenna and one solid-state amplifier. NASCAR Productions and PSSI accomplished the same feat this year for the same race event. PSSI’s mobile uplink facilities were used for backup, in tandem with two 10 Gbps AT&T fiber circuits between Daytona and Charlotte. 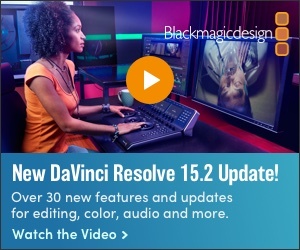 Clips were sent and received with a full complement of EVS live production servers on either end that were networked to allow unlimited (yet authorized) access to any audio or video clip on a private SAN. This facilitates the fast transfer of files between Charlotte and the broadcast production truck onsite (supplied by NEP Broadcast). The servers also helped streamline the process of managing the bi-directional feeds of 32 cameras (both in-car and hard cameras), numerous slow-motion replays, 130 audio feeds, and 24 intercom channels that the Charlotte crew used to communicate with those in Daytona. Video was compressed in MPEG-4 with Ericsson encoders. Three return feeds were sent to the tracks via J2K encoders. Once the event feeds were received in Charlotte, a team of 22 editors working on Adobe Premier quickly grabbed clips off of the NASCAR Productions facility’s 16 PB Nexsan and Promise Technology data storage systems that are supported by a Spectra Logic TFinity robotic system. They are also using Quantum’s StorNext storage area network (SAN). 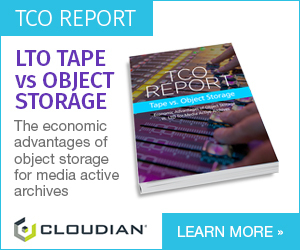 Almost 4 Petabytes of spinning disk storage allowed them to begin working immediately after a clip came into the facility. For instantaneous results, like during replays, they could work on a clip before it was fully downloaded into the SAN. The finished clip was then uploaded back to the production truck on site and inserted in the main live race broadcast. 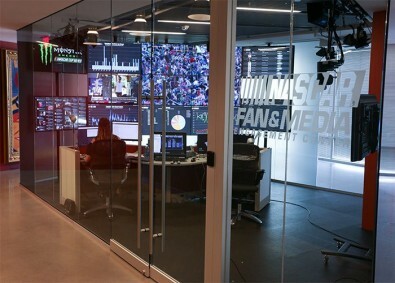 NASCAR Productions’ facility includes a fan engagement area where staff track and stimulate the different drivers’ activity on social media. The key piece of technology that allows the production crew in Charlotte to retrieve and distribute clips to and from remote locations is the EVS XT-VIA Series server. The latest model, the XT-VIA, supports every Super Slow-motion camera on the market and provides native options for up to 12 and even 16+ record channels with proxy encoding in HD including, 1080p or six channels of UHD-4K in any in/out combination. 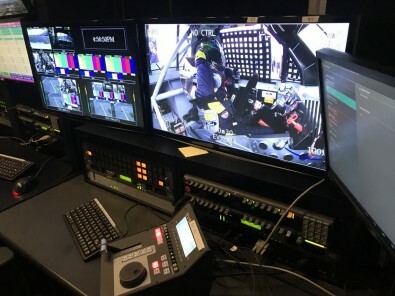 Looking for more capacity and the flexibility to migrate to 4K workflows once they see a demand, NASCAR Productions has taken delivery of two new EVS XT-VIA and four XS-VIA Servers (six servers all together, totaling 40 channels), with some under “virtual machine” control. The XS-VIA server is optimized for the recording of multiple audio and video feeds, as well as instant (remote or manual) control and multiple channels of playback. 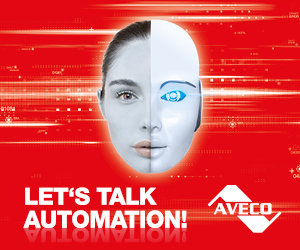 It offers them higher channel density and supports both SDI and IP workflows. Currently, NASCAR productions’ internal operations are primarily SDI based, but IP is increasingly becoming more prevalent to the outside world as it pursues more At Home projects. Stum said they are currently working on a NASCAR-themed feature called “Radioactive” for Fox where they are pulling driver sounds from all of the 40 cars on the track back to Charlotte live, simultaneously ingesting them into the EVS servers and then onto the facility’s main SAN. As for his company’s increasing use of remote operations infrastructures, Stum said it saves them time and resources… and it’s the way most future remote multi-camera productions will be completed. So, while NASCAR Productions’ mission is to produce programs designed to promote the sport of professional stock car racing, it’s technology leadership is helping it lap the competition in terms of improving productivity and supporting its clients’ need to create and distribute their unique branded content in a myriad of ways.